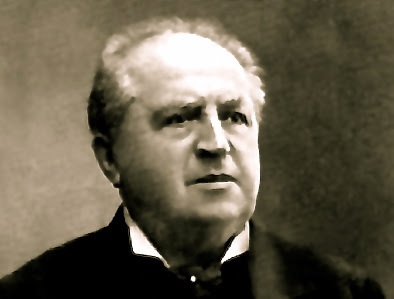 Exhausted from his Herculean labors as a journalist, educator, statesman, theologian, pastor, and social reformer, Abraham Kuyper (1837-1920) came to visit Vienna shortly after his first term in the Dutch parliament had come to an end on this day in 1876. Even as it does today, the city presented him with a jumble of contradictory impressions. The railways, roads, and hotels were all marked by the kind of new world efficiency that was the hallmark of emerging modernity but the food, drink, and music were all marked by the kind of old-world hospitality that was the hallmark of fading antiquity. It was a seductive place with its magnificent theaters, its resplendent palaces, and its broad, bustling boulevards. Needing rest Kuyper relaxed in the famous coffeehouses and sidewalk cafes. He feasted on the sagging boards of sausages, strudels, goulashes, and schnitzels at the ornate Biedermeier inns and reveled in the lagers, porters, and stouts at the lively hofbraus. He ambled along the Ringstrasse and listened to the street musicians as he sat in the Burggarten and the Stadtpark. He took particular pleasure in watching the passing parade of busy and cosmopolitan Viennese shopkeepers in the early mornings. He visited the great State Opera House, culled the vast library collection of the Hofburg National Bibliothek, and marveled at the shows in the Spanish Riding School at the Hapsburg palace. But Kuyper quickly discovered that the one place where all the strains of Vienna's wide-ranging heritage was most evident was the gem that dominated the center of the Stephansdomplatz: St. Stephen’s Church, the city's beautiful Gothic cathedral. Consecrated as a Romanesque basilica in 1147, it was one of the most stunning architectural feats of the medieval age. And it changed Kuyper’s life. When he visited the great old church at the center of Vienna’s old city center on this day in 1876, it was there that he found the reinvigorating vision that he would need for the arduous work that lay ahead of him. He was reminded of the fact that though the imperial House of Hapsburg employed a few master craftsmen from time to time at the cathedral, the vast majority of the construction was undertaken by the faithful members of the congregation, the ordinary folk of the town. That feat of stupendous architectural beauty was accomplished by the simple men and women at hand. That, Kuyper realized was actually the great lesson of all of history. Whether building cathedrals like the Stephansdomplatz or toppling the evil empires of the revolutionary modernists in his own time, he came to appreciate once again the fact that all of history’s most significant developments had been wrought by babushkas and bourgeoisie, shopkeepers and students, dads and daughters, peasants and populists. With that lesson learned, he was ready to return home and launch a revolution of justice, mercy, and Christian charity. And he did.